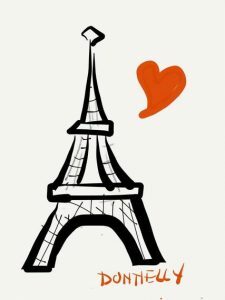 The recent violence and terrorist attacks in Paris present challenges for parents. Do you tell your children? When and how do you tell your children about these terrorizing and scary events? What are the dos and don’ts? In my practice in New York City and recently during national media interviews, I created a checklist of 10 rules for discussing the recent terrorist attacks with children, tweens, and teens. Regardless of age, when an attack happens it’s best if you tell your kids yourself. You want them to hear it from you first. Take cues from your own child – don’t offer information or too many details. discuss only the basics. Watching TV or listening to radio really depends on your children and how much they internalize their feelings and emotions. Keep eyes open for signs of distress, depression, or anxiety in your child and don’t hesitate to contact a medical professional if you see concerning changes in your son or daughter’s normal habits (eating, sleeping, mood). Sadly, this is not the last time you’ll have to parent and educate about the topic of terrorism. Remember to be honest, open, available, and consistent – make rules and have discussions that are right for YOUR family. Qu’est-ce qu’on a encore fait au Bon Dieu en streaming Film Complet.